1/3/10 – Return of deposits and new hangs – Paris, Musée du Louvre – Speaking ironically, we had raised the possibility (see news item, in French, of 28/5/09) that the return of a painting by Jean-Baptiste Oudry on deposit at the Ministry of Foreign Affairs was a result of our article on “France’s Hidden Museums”. It was in fact simply a coincidence. 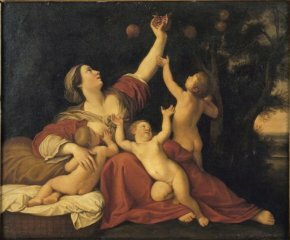 However, the restitution of two works to the Louvre by the Senate, the Presentation of the Virgin at the Temple by Cavaliere d’Arpino, on deposit there since 1925 and, especially, the Allegory of Fertility by Albani (ill. 1), at the Palais du Luxembourg since 1853 and which the Louvre had tried to recover in vain on several occasions, is in no way a fortuitous event. This is the direct consequence of our article, also mentioned subsequently in Libération and Le Canard Enchainé. The Cavaliere d’Arpino work now hangs in the Grande Galerie  (ill. 2) while the Albani is being restored. 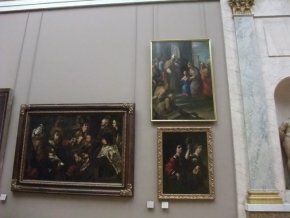 We can only hope that the Senate will pursue the decision to return other works and that it will be imitated by many of the institutions which still hold, in an unauthorized manner, important paintings belonging to national museums. 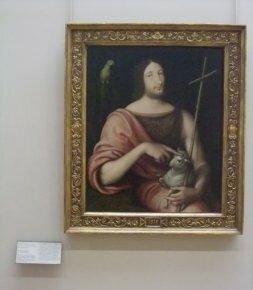 Visitors to the Louvre will be able to discover other works besides the altarpiece by Cavaliere d’Arpino acquired in the past few years but which had not yet been presented to the public in its permanent collections. 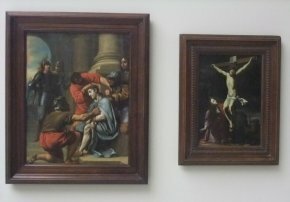 Thus, in room 29 on the second floor, not far from the Le Nain donated by Axa (see news item of 4/6/09) two small coppers now hang (ill. 3), Christ Crowned with Thorns by the Maître aux Cortèges, an anonymous artist close to the Le Nain brothers , and Christ on the Cross with Mary Magdalene by Jacques Stella (see news item of 12/1/08) exhibited during the retrospective in Lyon (see article in French). In passing, we would like to point out that for the first time in many years, all of Georges de La Tour’s six paintings are on display (see article of 18/5/09). 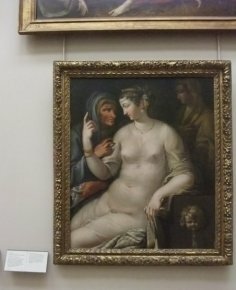 A bit further along, in the section on 16th century French painting, museum goers can enjoy François I as Saint John the Baptist donated by Guy and Alec Wildenstein (ill. 4 ; see news item, in French, of 29/11/05) as well as Vertumnus and Pomona from the second school of Fontainebleau acquired in Lyon (ill. 5 ; see news item, in French, of 2/6/07). 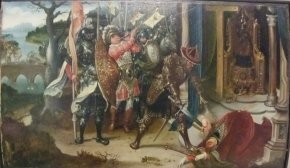 Finally, the exhibition “Painting of the month” highlights a 2009 donation by the Amis du Louvre which we had already mentioned : a small painting by the Flemish artist Jan de Beer (ill. 6). acquisition in 2002, before the creation of The Art Tribune.